My #GOPDebate summary: HELP US @SenSanders. Now, Shapiro is not a “neoconservative” in any real sense of the word. He is not a former liberal, and he does not agree with the nation-building platform of so-called “neoconservatives.” In fact, the only reason to label him a “neoconservative” would be his Jewishness; both the far right and far left routinely use “neoconservative” as an anti-Semitic slur. This has been true since the days of Paul Wolfowitz, as commentators from Charles Krauthammer to prominent leftists like Jeffrey Goldberg have noted.
.@benshapiro No, dum-dum. Kristol is the father of neo-conservatism & helped popularize the term. That you’re both Jewish is incidental. I was wrong. It appears @PattonOswalt isn’t smart enough to know he’s using an anti-Semitic slur. He’s just a typical Hollywood dumbass. I am still waiting for your net worth and your charitable giving percentage. Fight income inequality, @PattonOswalt! 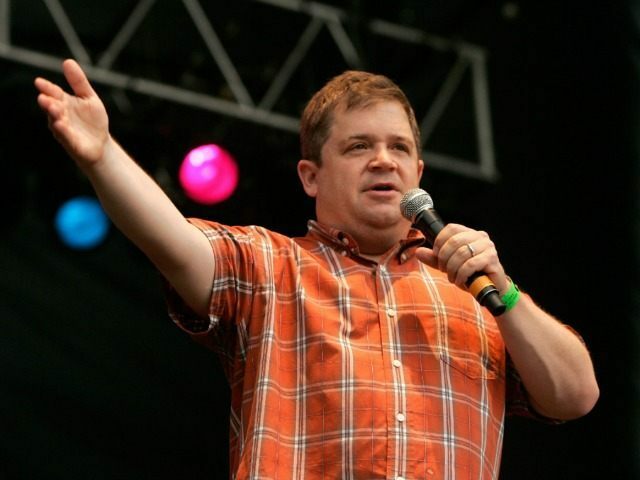 We can now list @PattonOswalt‘s net worth, as a Bernie Sanders socialist, as one of the great mysteries of the universe. He’ll never tell. What I learned from @PattonOswalt today: (1) All Jews who aren’t left are neocons; (2) Socialism means being really rich and voting Sanders.